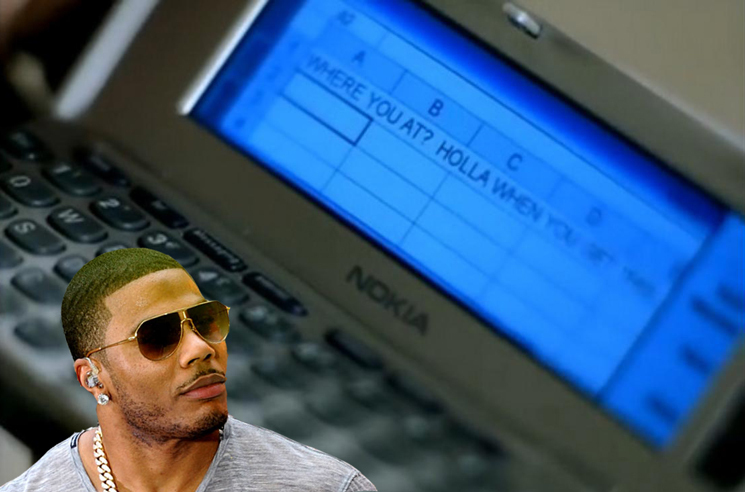 Though it isn't the hit that is currently helping him pay off his IRS debts, Nelly's "Dilemma" is remembered these days for its video in which Kelly Rowland somehow sends text messages to her lover by using Microsoft Excel on her Nokia phone. Now, the R&B hitmaker has weighed in on the tech himself. In a recent interview with Australia's The Project, Nelly was caught a little off guard upon being asked about the spreadsheet texts. As you can see around the 3:10 mark in the player below, the artist admitted to it looking a little dated 14 years on, but assured viewers that it "was a thing at the time. That was the new technology at the time!" While it certainly didn't earn him any cred amongst the tech crowd, "Dilemma" did capture the Grammy Award for Best Rap/Sung Collaboration in 2003. Watch the video for the track after taking in Nelly's interview below.